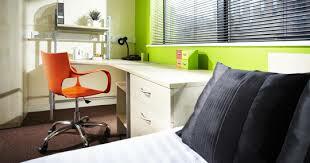 We can arrange student accommodation with families or hotels in central London. During the summer, accommodation is available in University of London halls of residence in Russell Square (about 15 minutes on foot from Sels College). Accommodation with a host-family can be on a bed and breakfast or breakfast and evening meal basis (neither type of accommodation has cooking facilities for the students). Students usually arrive at the host-family home around 7 pm on the Sunday evening before their course starts and leave on the Sunday morning of the last week or earlier. If the College cannot find the accommodation you require, e.g. self catering accommodation, we can refer you to an accredited accommodation agency. The agreement will be between the student and the agency (Sels College will not charge its usual accommodation service charge). * Students will not pay more than the weekly rate (price) agreed between the host-family/hotel/hostel and the College. * Normally no change of accommodation is possible unless a mistake has been made by the College. * Our host-families are in central London (approximately 20-30 minutes from the College by underground train). * The host-family may be a single person or two or more people, with or without children. * Families prefer full-time students. * Homestay cancellation notice is one week or one week’s rent in lieu of the notice. (4) University of London Halls of Residence are available from mid-June to mid-September about £28 a night for a single room with breakfast, about £32 if an evening meal is required. Please contact the family concerned well in advance if you are unable to arrive at the time arranged. Please speak to Reception in the first week if you have any problems or difficulties with your course or accommodation or any other matter. Any complaint or claim must be made within 1 month from the date of the occurrence. The cancellation fee in all cases is the tuition fee of the first week (+ 1 week’s accommodation fee if it is arranged by the College), provided there is no excessive correspondence after the Letter of Acceptance has been sent and there is an acceptable reason for cancellation. A course can be postponed on medical or other urgent grounds with a reasonably advance notice without having to pay a cancellation fee. Any claim for a refund must be made immediately, no later than one month after the agreed course start date. A request for change of course or to shorten the length of the course must be made at least 7 working days before the start date; in general no change is possible after the course has started.